I’ve seen several queries for help from users upgrading to Windows 10 Anniversary Update (here or at reddit.com). After upgrading to version 1607, Bitlocker is asking for a recovery key after first restart. Encrypted drives could not be decrypted. Or error messages like error 0xc0210000 are dropped. I found a German blog post about this issue and a reference to this Technet forum discussion with references to TPM issues. 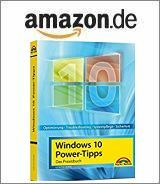 My MVP colleague Nils Kacencenzki has addressed this topic a few days ago at faq-o-matic.net (German articleWindows 10 Version 1607: Vorsicht mit Bitlocker!). Not it seems that Microsoft has identified the root cause and is working on a fix. During upgrade from Windows 10 Version 1511 to Version 1607, Hyper-V, DeviceGuard and Bitlocker are running in conflicts. As a workaround has been provided by Darrell Gorter [MSFT] within this Technet forum thread. Reset the Device Guard registry keys located in HKLM\System\CurrentControlSet\Control\DeviceGuard. It seems that Microsoft plans to release a Hotfix till August 23, 2016 to address this issue. This entry was posted in Windows and tagged 0xc0210000, Bitlocker, Device Guard, Error, Hyper-V, issue, Upgrade, Windows 10 Anniversary Update. Bookmark the permalink.